Human impact on coral reefs is significant. Coral reefs are dying around the world. In particular, coral mining, pollution (organic and non-organic), overfishing, blast fishing and the digging of canals and access into islands and bays are serious threats to these ecosystems. Coral reefs also face high dangers such as diseases, destructive fishing practices and warming oceans. In order to find answers for these problems, researchers study the various factors that impact reefs. The list of factors is long, including the ocean's role as a carbon dioxide sink, atmospheric changes, ultraviolet light, ocean acidification, viruses, impacts of dust storms carrying agents to far-flung reefs, pollutants, algal blooms and others. Reefs are threatened well beyond coastal areas. In 2008 estimates assembled from coral reef specialists from around the world indicated that 19% of the existing area of coral reefs has already been lost, and that a further 17% is likely to be lost over the subsequent 10–20 years. Only 46% of the world’s reefs could be currently regarded as in good health. About 60% of the world's reefs may be at risk due to destructive, human-related activities. The threat to the health of reefs is particularly strong in Southeast Asia, where 80% of reefs are endangered. By the 2030s, 90% of reefs are expected to be at risk from both human activities and climate change; by 2050, all coral reefs will be in danger. In the Caribbean Sea and tropical Pacific ocean, direct contact between coral and 40–70% of common seaweeds cause bleaching and death of coral tissue via allelopathic competition. The lipid-soluble extracts of seaweeds that harmed coral tissues also produced rapid bleaching. At these sites bleaching and mortality was limited to areas of direct contact with seaweed or their extracts. The seaweed then expanded to occupy the dead coral's habitat. However, as of 2009, only 4% of coral reefs worldwide had more than 50% algal coverage. Further, there is no recent global trend towards algal dominance. Competitive seaweed and other algae thrive in nutrient-rich waters in the absence of sufficient herbivorous predators. Herbivores include fish such as parrotfishs, surgeonfishes, tangs and unicornfishes. Overfishing, particularly selective overfishing, can unbalance coral ecosystems by encouraging the excessive growth of coral predators. Predators that eat living coral, such as the crown-of-thorns starfish, are called corallivores. Coral reefs are built from stony coral, which evolved with large amounts of the wax cetyl palmitate in their tissues. Most predators find this wax indigestible. The crown-of-thorns starfish is a large (up to one meter) starfish protected by long, venomous spines. Its enzyme system dissolves the wax in stony corals, and allows the starfish to feed on the living animal. Starfish face predators of their own, such as the giant triton sea snail. 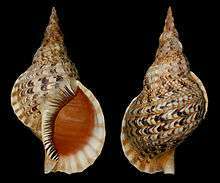 However, the giant triton is valued for its shell and has been over fished. As a result, crown-of-thorns starfish populations can periodically grow unchecked, devastating reefs. The overfished giant triton eats the crown-of-thorns starfish. The crown-of-thorns starfish eats coral. Although some marine aquarium fish species can reproduce in aquaria (such as Pomacentridae), most (95%) are collected from coral reefs. Intense harvesting, especially in maritime Southeast Asia (including Indonesia and the Philippines), damages the reefs. This is aggravated by destructive fishing practices, such as cyanide and blast fishing. Most (80–90%) aquarium fish from the Philippines are captured with sodium cyanide. This toxic chemical is dissolved in sea water and released into areas where fish shelter. It narcotizes the fish, which are then easily captured. However, most fish collected with cyanide die a few months later from liver damage. Moreover, many non-marketable specimens die in the process. It is estimated that 4,000 or more Filipino fish collectors have used over 1,000,000 kilograms (2,200,000 lb) of cyanide on Philippine reefs alone, about 150,000 kg per year. A major catalyst of cyanide fishing is poverty within fishing communities. In countries like the Philippines that regularly employ cyanide, more than thirty percent of the population lives below the poverty line. Dynamite fishing is another destructive method for gathering fish. Sticks of dynamite, grenades, or home-made explosives are detonated in the water. This method of fishing kills the fish within the main blast area, along with many unwanted reef animals. The blast also kills the corals in the area, eliminating the reef's structure, destroying habitat for the remaining fish and other animals important for reef health. Muroami is the destructive practice of covering reefs with nets and dropping large stones onto the reef to produce a flight response among the fish. The stones break and kill the coral. Muroami was generally outlawed in the 1980s. Fishing gear damages reefs via direct physical contact with the reef structure and substrate. Gill nets, fish traps, and anchors break branching coral and cause coral death through entanglement. When fishermen drop lines by coral reefs, the lines entangle the coral. The fisher cuts the line and abandons it, leaving it attached to the reef. The discarded lines abrade coral polyps and upper tissue layers. Corals are able to recover from small lesions, but larger and recurrent damage complicates recovery. Bottom dragging gear such as beach seines can damage corals by abrasion and fracturing. A beach seine is a long net about 150 meters (490 ft) with a mesh size of 3 centimeters (1.2 in) and a weighted line to hold the net down while it is dragged across the substrate and is one of the most destructive types of fishing gear on Kenya’s reefs. Bottom trawling in deep oceans destroys cold–water and deep–sea corals. Historically, industrial fishers avoided coral because their nets would get caught on the reefs. In the 1980s, "rock–hopper" trawls attached large tires and rollers to allow the nets to roll over rough surfaces. Fifty-five percent of Alaskan cold–water coral that was damaged by one pass from a bottom trawl had not recovered a year later. Northeast Atlantic reefs bear scars up to 4 kilometers (2.5 mi) long. In Southern Australia, 90 percent of the surfaces on coral seamounts are now bare rock. Even in the Great Barrier Reef World Heritage Area, seafloor trawling for prawns and scallops is causing localized extinction of some coral species. "With increased human population and improved storage and transport systems, the scale of human impacts on reefs has grown exponentially. For example, markets for fish and other natural resources have become global, supplying demand for reef resources." 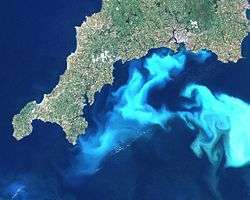 This image of an algae bloom off the southern coast of England, though not in a coral region, shows what a bloom can look like from a satellite remote sensing system. Reefs in close proximity to human populations are subject to poor water quality from land- and marine-based sources. In 2006 studies suggested that approximately 80 percent of ocean pollution originates from activities on land. 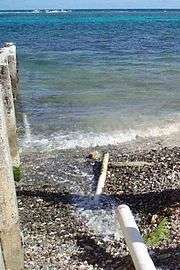 Pollution arrives from land via runoff, the wind and "injection" (deliberate introduction, e.g., drainpipes). Runoff brings with it sediment from erosion and land-clearing, nutrients and pesticides from agriculture, wastewater, industrial effluent and miscellaneous material such as petroleum residue and trash that storms wash away. Some pollutants consume oxygen and lead to eutrophication, killing coral and other reef inhabitants. An increasing fraction of the global population lives in coastal areas. Without appropriate precautions, development (e.g., buildings and paved roads) increases the fraction of rainfall and other water sources that enter the ocean as runoff by decreasing the land's ability to absorb it. Pollution can introduce pathogens. For example, Aspergillus sydowii has been associated with a disease in sea fans, and Serratia marcescens, has been linked to the coral disease white pox. Reefs in close proximity to human populations can be faced with local stresses, including poor water quality from land-based sources of pollution. 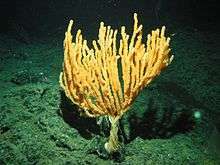 Copper, a common industrial pollutant has been shown to interfere with the life history and development of coral polyps. In addition to runoff, wind blows material into the ocean. This material may be local or from other regions. For example, dust from the Sahara moves to the Caribbean and Florida. Dust also blows from the Gobi and Taklamakan deserts across Korea, Japan, and the Northern Pacific to the Hawaiian Islands. Since 1970, dust deposits have grown due to drought periods in Africa. Dust transport to the Caribbean and Florida varies from year to year with greater flux during positive phases of the North Atlantic Oscillation. The USGS links dust events to reduced health of coral reefs across the Caribbean and Florida, primarily since the 1970s. Dust from the 1883 eruption of Krakatoa in Indonesia appeared in the annular bands of the reef-building coral Montastraea annularis from the Florida Reeftract. Sediment smothers corals and interferes with their ability to feed and reproduce. Pesticides can interfere with coral reproduction and growth. There is evidence that chemicals in sunscreens contribute to coral bleaching by lowering the resistance of zooxanthellae to viruses. Nutrient pollution, particularly nitrogen and phosphorus can cause eutrophication, upsetting the balance of the reef by enhancing algal growth and crowding out corals. This nutrient–rich water can enable blooms of fleshy algae and phytoplankton to thrive off coasts. These blooms can create hypoxic conditions by using all available oxygen. Biologically available nitrogen (nitrate plus ammonia) needs to be below 1.0 micromole per liter (less than 0.014 parts per million of nitrogen), and biologically available phosphorus (orthophosphate plus dissolved organic phosphorus) needs to be below 0.1 micromole per liter (less than 0.003 parts per million of phosphorus). In addition concentrations of chlorophyll (in the microscopic plants called phytoplankton) needs to be below 0.5 parts per billion. Both plants also obscure sunlight, killing both fish and coral. High nitrate levels are specifically toxic to corals, while phosphates slow down skeletal growth. Excess nutrients can intensify existing disease, including potentially doubling the spread of Aspergillosis, a fungal infection that kills soft corals such as sea fans, and increasing yellow band disease, a bacterial infection that kills reef-building hard corals by fifty percent. A study released in April 2013 has shown that air pollution can also stunt the growth of coral reefs; researchers from Australia, Panama and the UK used coral records (between 1880 and 2000) from the western Caribbean to show the threat of factors such as coal-burning coal and volcanic eruptions. The researchers state that the study signifies the first time that the relationship between air pollution and coral reefs has been elucidated, while former chair of the Great Barrier Reef Marine Park Authority Ian McPhail referred to the report as "fascinating" upon the public release of its findings. Marine debris is any solid object that enters coastal and ocean waters. Debris may arrive directly from a ship or indirectly when washed out to sea via rivers, streams, and storm drains. Human-made items tend to be the most harmful such as plastics (from bags to balloons, hard hats to fishing line), glass, metal, rubber (millions of waste tires! ), and even entire vessels. Plastic debris kills several reef species. Derelict (abandoned) fishing nets and other gear—often called "ghost nets" because they still catch fish and other marine life despite being abandoned—can entangle and kill reef organisms and break or damage reefs. Even remote reef systems suffer the effects of marine debris. Reefs in the Northwestern Hawaiian Islands are particularly prone to the accumulation of marine debris because of their central location in the North Pacific Gyre. From 2000 to 2006, NOAA and partners removed over 500 tons of marine debris there. Dredging operations are sometimes completed by cutting a path through a coral reef, directly destroying the reef structure and killing any organisms that live on it. Operations that directly destroy coral are often intended to deepen or otherwise enlarge shipping channels or canals, due to the fact that in many areas, removal of coral requires a permit, making it more cost-effective and simple to avoid coral reefs if possible. Dredging also releases plumes of suspended sediment, which can settle on coral reefs, damaging them by starving them of food and sunlight. Continued exposure to dredging spoil has been shown to increase rates of diseases such as white syndrome, bleaching and sediment necrosis among others. A study conducted in the Montebello and Barrow Islands showed that the number of coral colonies with signs of poor health more than doubled in transects with high exposure to dredging sediment plumes. 2 levels rise to 500 ppm because concentrations of carbonate ions may then be too low. Warming seawater may also encourage an emerging problem: coral disease. Weakened by warm water, coral is much more prone to diseases including black band disease, white band disease and skeletal eroding band. If global temperatures increase by 2 °C during the twenty-first century, coral may not be able to adapt quickly enough. Warming seawater is also expected to cause migrations in fish populations to compensate for the change. This puts coral reefs and their associated species at risk of invasion and may cause their extinction if they are unable to compete with the invading populations. A 2010 report by the Institute of Physics predicts that unless the national targets set by the Copenhagen Accord are amended to eliminate loopholes, then by 2100 global temperatures could rise by 4.2 °C and result in an end to coral reefs. Ocean acidification results from increases in atmospheric carbon dioxide. Oceans absorb around one–third of the increase. The dissolved gas reacts with the water to form carbonic acid, and thus acidifies the ocean. This decreasing pH is another issue for coral reefs. Bamboo coral is a deep water coral which produces growth rings similar to trees. 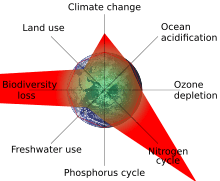 The growth rings illustrate growth rate changes as deep sea conditions change, including changes due to ocean acidification. Specimens as old as 4,000 years have given scientists "4,000 years worth of information about what has been going on in the deep ocean interior". Rising carbon dioxide levels could confuse brain signaling in fish. In 2012, researchers reported on their results after studying the behaviour of baby clown and damselfishes for several years in water with elevated levels of dissolved carbon dioxide, in line with what may exist by the end of the century. They found that the higher carbon dioxide disrupted a key brain receptor in the fish, interfering with neurotransmitter functions. The damaged central nervous systems affected fish behaviour and diminishing their sensory capacity to a point "likely to impair their chances of survival". The fishes were less able to locate reefs by smell or "detect the warning smell of a predator fish". Nor could they hear the sounds made by other reef fish, compromising their ability to locate safe reefs and avoid dangerous ones. They also lost their usual tendencies to turn to the left or right, damaging their ability to school with other fish. Disease is a serious threat to many coral species. The diseases of coral may consist of bacterial, viral, fungal, or parasitic infections. Due to many of the dramatic changes in climate and stress caused by pollution, coral become more vulnerable to diseases. Some examples of coral disease are vibrio, white syndrome, white band, and many more. In the Caribbean, white band disease is one of the primary causes for the death of over eighty percent of Staghorn and Elkhorn coral (Reef Resilience). It is a disease that can destroy miles of coral reef fast. A disease such as white plague can spread over a coral colony by a half an inch a day. By the time the disease has fully taken over the colony, it leaves behind a dead skeleton. Dead standing coral structures are what most people see after disease has taken over a reef. Coral sand from a beach on Aruba, Caribbean Sea. Within the last 20 years, once-prolific seagrass meadows and mangrove forests, which absorb massive amounts of nutrients and sediment, have been destroyed. Both the loss of wetlands, mangrove habitats and seagrass meadows affect the water quality of inshore reefs. Coral mining is another threat. Both small scale harvesting by villagers and industrial scale mining by companies are serious threats. Mining is usually done to produce construction material which is valued as much as 50% cheaper than other rocks, such as from quarries. The rocks are ground and mixed with other materials, like cement to make concrete. Ancient coral used for construction is known as coral rag. Building directly on the reef also takes its toll, altering water circulation and the tides which bring the nutrients to the reef. The pressing reason for building on reefs is simply lack of space. Boats and ships require access points into bays and islands to load and unload cargo and people. For this, parts of reefs are often chopped away to clear a path. Negative consequences can include altered water circulation and altered tidal patterns which can disrupt the reef's nutrient supply; sometimes destroying a great part of the reef. Fishing vessels and other large boats occasionally run aground on a reef. Two types of damage can result. Collision damage occurs when a coral reef is crushed and split by a vessel's hull into multiple fragments. Scarring occurs when boat propellers tear off the live coral and expose the skeleton. The physical damage can be noticed as striations. Mooring causes damage which can be reduced by using mooring buoys. Buoys can attach to the seafloor using concrete blocks as weights or by penetrating the seafloor, which further reduces damage. Coral in Taiwan is being threatened by the influx of human population growth. Since 2007, several local environmental groups conducted research and found that much of the coral populations are being affected by untreated sewage, an influx of tourists taking corals for souvenirs, without fully understanding the destructive impact on the coral's ecological system. Researchers reported to the Taiwanese government that many coral populations have turned black in the southeast coast of Taiwan. Potentially, this could lead to loss of food supply, medicinal sources and tourism due to the breakdown of the food chain. The global standard for recording threatened marine species is the IUCN Red List of Threatened Species. This list is the foundation for marine conservation priorities worldwide. A species is listed in the threatened category if it is considered to be critically endangered, endangered, or vulnerable. Other categories are near threatened and data deficient. By 2008, the IUCN had assessed all 845 known reef-building corals species, marking 27% as Threatened 20% as near threatened and 17% as data deficient. The coral triangle (Indo-Malay-Philippine archipelago) region has the highest number of reef-building coral species in threatened category as well as the highest coral species diversity. The loss of coral reef ecosystems will have devastating effects on many marine species, as well as on people that depend on reef resources for their livelihoods. The Great Barrier Reef is the world's largest coral reef system. 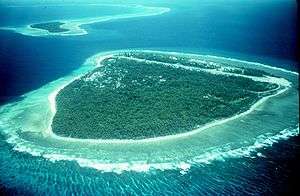 The reef is located in the Coral Sea and a large part of the reef is protected by the Great Barrier Reef Marine Park. Particular environmental pressures include surface runoff, salinity fluctuations, climate change, cyclic crown-of-thorns outbreaks, overfishing, and spills or improper ballast discharge. According to the 2014 report of the Government of Australia's Great Barrier Reef Marine Park Authority (GBRMPA), climate change is the most significant environmental threat to the Great Barrier Reef. Southeast Asian coral reefs are at risk from damaging fishing practices (such as cyanide and blast fishing), overfishing, sedimentation, pollution and bleaching. Activities including education, regulation and the establishment of marine protected areas help protect these reefs. Indonesia is home to one-third of the world's coral reefs, with coral that covers nearly 85,000 square kilometres (33,000 sq mi) and is home to one-quarter of its fish species. Indonesia's coral reefs are located in the heart of the Coral Triangle and have fallen victim to destructive fishing, tourism and bleaching. Data from LIPI in 1998 found that only 7 percent is in excellent condition, 24 percent is in good condition and approximately 69 percent is in poor-to-fair condition. According to one source, Indonesia will lose 70 percent of its coral reef by 2050 if restoration action does not occur. In 2007, Reef Check, the world's largest reef conservation organization, stated that only 5% of Philippines 27,000 square kilometres (10,000 sq mi) of coral reef are in "excellent condition": Tubbataha Reef, Marine Park in Palawan, Apo Island in Negros Oriental, Apo Reef in Puerto Galera, Mindoro, and Verde Island Passage off Batangas. Philippine coral reefs is Asia's second largest. Coral reefs in Taiwan are being threatened by human population growth. Many corals are affected by untreated sewage and souvenir-hunting tourists, not knowing that this practice destroys habitat and causes disease. Many corals have turned black from disease off Taiwan's southeast coast. It has been estimated that 50% of the Caribbean sea coral cover has disappeared since the 1960s. According to a United Nations Environment Program report, the Caribbean coral reefs might face extirpation in next 20 years due to population expansion along the coast lines, overfishing, the pollution of coastal areas, global warming, and invasive species. 1 2 "Coral reefs around the world". Guardian.com. 2 September 2009. Retrieved 12 June 2010. 1 2 "In The Turf War Against Seaweed, Coral Reefs More Resilient Than Expected". Science Daily. June 3, 2009. Retrieved 1 February 2011. 1 2 Wilkinson, Clive (2008) Status of Coral Reefs of the World: Executive Summary. Global Coral Reef Monitoring Network. ↑ "Reefs at Risk Revisited" (PDF). World Resources Institute. February 2011. Retrieved 16 March 2012. 1 2 3 Kleypas, Joan A.; Feely, Richard A.; Fabry, Victoria J.; Langdon, Chris; Sabine, Christopher L.; Robbins, Lisa L. (June 2006). "Impacts of Ocean Acidiﬁcation on Coral Reefs and Other Marine Calciﬁers: A Guide for Future Research" (PDF). Retrieved 1 February 2011. 1 2 Rasher, Douglas B.; Hay, Mark E. (May 25, 2010). "Chemically rich seaweeds poison corals when not controlled by herbivores". 107 (21). Proceedings of the National Academy of Sciences: 9683–9688. Bibcode:2010PNAS..107.9683R. doi:10.1073/pnas.0912095107. PMC 2906836 . PMID 20457927. Retrieved 18 February 2011. ↑ Predators and Prey PBS.org. Retrieved 11 December 2009. ↑ "CRC Reef Research Centre Technical Report No. 32 — Crown-of-thorns starfish(Acanthaster planci) in the central Great Barrier Reef region. Results of fine-scale surveys conducted in 1999–2000.". Retrieved 7 June 2007. ↑ "David LECCHINI, Sandrine POLTI, Yohei NAKAMURA, Pascal MOSCONI, Makoto TSUCHIYA, Georges REMOISSENET, Serge PLANES (2006) "New perspectives on aquarium fish trade" Fisheries Science 72 (1), 40–47". Blackwell Synergy. doi:10.1111/j.1444-2906.2006.01114.x. Retrieved 16 January 2007. 1 2 3 4 5 McClellan, Kate; Bruno, John (2008). "Coral degradation through destructive fishing practices". Encyclopedia of Earth. Retrieved 25 October 2008. ↑ "CIA—The World Factbook—Philippines". CIA. Retrieved 1 February 2011. ↑ Hughes; et al. (15 August 2003). "Climate Change, Human Impacts, and the Resilience of Coral Reefs". Science. 301 (5635): 929–933. Bibcode:2003Sci...301..929H. doi:10.1126/science.1085046. Retrieved 3 June 2008. ↑ "UNEP in 2006" (pdf). Retrieved 18 August 2012. 1 2 3 4 5 6 7 "How Pollution Affects Coral Reefs". NOAA. Retrieved 18 August 2012. ↑ Emma Young (February 18, 2003). "Copper decimates coral reef spawning". New Scientist. Retrieved 26 August 2006. ↑ Duce, R.A.; Unni, C.K. ; Ray, B.J. ; Prospero, J.M. ; Merrill, J.T. (1980). "Long-range atmospheric transport of soil dust from Asia to the tropical North Pacific: Temporal variability". Science. 209 (4464): 1522–1524. Bibcode:1980Sci...209.1522D. doi:10.1126/science.209.4464.1522. PMID 17745962. ↑ Usinfo.state.gov.Study Says African Dust Affects Climate in U.S., Caribbean. Retrieved on 10 June 2007. ↑ Prospero J.M. ; Nees R.T. (1986). "Impact of the North African drought and El Niño on mineral dust in the Barbados trade winds". Nature. 320 (6064): 735–738. Bibcode:1986Natur.320..735P. doi:10.1038/320735a0. ↑ United States Geological Survey. Coral Mortality and African Dust. Retrieved on 10 June 2007. ↑ Merman, E.A. 2001. Atmospheric inputs to the tropical ocean—unlocking the record in annually banded corals. Master's thesis. University of South Florida, St. Petersburg. ↑ Danovaro, Roberto; Bongiorni, Lucia; Corinaldesi, Cinzia; Giovannelli, Donato; Damiani, Elisabetta; Astolfi, Paola; Greci, Lucedio; Pusceddu, Antonio (2008). "Sunscreens Cause Coral Bleaching by Promoting Viral Infections". Environmental Health Perspectives. 116 (4): 441–447. doi:10.1289/ehp.10966. PMC 2291018 . PMID 18414624. ↑ "Eutrofication and water quality". Global Coral Reef Alliance. Retrieved 1 February 2011. ↑ Rachel Nowak (11 January 2004). "Sewage nutrients fuel coral disease". New Scientist. Retrieved 10 August 2006. ↑ Liz Minchin (8 April 2013). "Air pollution casts a cloud over coral reef growth". The Conversation. The Conversation Media Group. Retrieved 9 April 2013. ↑ "Scientists race to save coral doomed by Government Cut dredging - Environment - MiamiHerald.com". miamiherald.com. Retrieved 21 August 2014. ↑ "Coral reefs face heightened risk of fatal disease from dredging, says research | Environment | theguardian.com". theguardian.com. Retrieved 21 August 2014. ↑ "PLOS ONE: Sediment and Turbidity Associated with Offshore Dredging Increase Coral Disease Prevalence on Nearby Reefs". plosone.org. Retrieved 21 August 2014. ↑ Leahy, Stephen (2007). "Environment: Between a Reef and a Hard Place". NoticiasFinancieras. ↑ Glynn, P.W. (March 1993). "Coral Reef Bleaching: Ecological Perspectives" Earth and Environmental Science". 12 (1). Bibcode:1993CorRe..12....1G. doi:10.1007/BF00303779. ↑ Climate Accord loopholes could spell 4.2°C rise in temperature and end of coral reefs by 2100 Institute of Physics, Press release, 29 September 2010. ↑ Rogelj J, Chen C, Nabel J, Macey K, Hare W, Schaeffer M, Markmann K, Höhne N, Andersen KK, et al. (2010). "Analysis of the Copenhagen Accord pledges and its global climatic impacts—a snapshot of dissonant ambitions". Environmental Research Letters. Institute of Physics. 5: 3. Bibcode:2010ERL.....5c4013R. doi:10.1088/1748-9326/5/3/034013. ↑ Jacobson, M. Z. (2005). "Studying ocean acidification with conservative, stable numerical schemes for nonequilibrium air-ocean exchange and ocean equilibrium chemistry" (PDF). Journal of Geophysical Research: Atmospheres. 110: D07302. Bibcode:2005JGRD..11007302J. doi:10.1029/2004JD005220. Retrieved 1 February 2011. ↑ Orr, J. C.; et al. (2005). "Anthropogenic ocean acidification over the twenty-first century and its impact on calcifying organisms" (PDF). Nature. 437 (7059): 681–686. Bibcode:2005Natur.437..681O. doi:10.1038/nature04095. PMID 16193043. ↑ "National Oceanic and Atmospheric Administration – New Deep-Sea Coral Discovered on NOAA-Supported Mission". www.noaanews.noaa.gov. Retrieved 11 May 2009. ↑ Carbon dioxide affecting fish brains: study ABC, 16 January 2012. ↑ Rising carbon dioxide confuses brain signaling in fish Science News Online, 16 January 2012. ↑ Nilsson GE, Dixson DL, Domenici P, McCormick MI, Sørensen C, Watson S, Munday PL (2012). "Near-future carbon dioxide levels alter fish behaviour by interfering with neurotransmitter function Letter". Nature Climate Change. 2: 1. Bibcode:2012NatCC...2..201N. doi:10.1038/nclimate1352. ↑ Australian Government Productivity Commission (2003). "Industries, Land Use and Water Quality in the Great Barrier Reef Catchment – Key Points". Archived from the original on 6 September 2006. Retrieved 29 May 2006. ↑ Ryan Holl (17 April 2003). "Bioerosion: an essential, and often overlooked, aspect of reef ecology". Iowa State University. Retrieved 2 November 2006. ↑ UNEP World Conservation Monitoring Centre (1980). "Protected Areas and World Heritage – Great Barrier Reef World Heritage Area". Department of the Environment and Heritage. Archived from the original on 15 January 2006. Retrieved 10 June 2006. ↑ "Great Barrier Reef World Heritage Values". Archived from the original on 6 October 2006. Retrieved 10 November 2006. ↑ GBRMPA (2014). "GBRMPA Outlook Report 2014" (PDF). Australian Government Great Barrier Reef Marine Park Authority. Australian Government. Retrieved 15 August 2014. ↑ Ditulis oleh susan (30 November 2010). "Mengenali Sumberdaya Pesisir dan Laut". Pelajar Progressif (in Malay). Google, Inc. Retrieved 22 April 2013. ↑ Abs-Cbn Interactive, "RP coral reefs, second largest in Asia, in bad shape"
↑ Jennings, R. (Feb 6, 2009). "Taiwan coral reefs "turn black" with disease". Reuters. ↑ "Caribbean coral reefs may disappear within 20 years: Report". IANS. news.biharprabha.com. Retrieved 3 July 2014. “Reef Resilience.” livingoceansfoundation.org. Khaled bin Sultan Living Oceans Foundation. 2016. Web. 16 Nov. 2016. <https://www.livingoceansfoundation.org/science/reef-resilience/>. Hoegh-Guldberg, Ove (1999). "Climate Change: Coral Reefs on the Edge". Global Change Institute, University of Queensland.